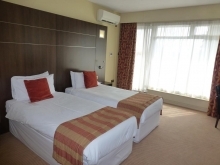 These contemporary rooms provide an en-suite shower rooms and large single beds as well as air conditioning, free internet access, flat-screen TVs and 24 hour room service. 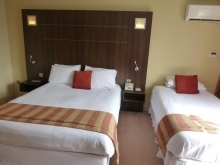 The rooms are also located in a quiet location towards the rear of the hotel. These spacious en-suite double rooms are contemporary in style and provide a balcony or patio overlooking the surrounding countryside. 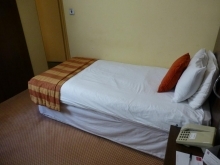 Each room also offers free internet access, air conditioning, 24 hour room service and flat-screen TVs. These spacious en suite twin rooms are contemporary in style and provide a balcony or patio overlooking the surrounding countryside. Each room also offers free internet access, air conditioning, 24 hour room service and flat-screen TVs. These spacious Family rooms offer a double and either 1 or 2 single beds. 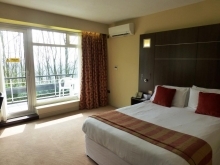 The rooms also provide a balcony or patio overlooking the surrounding countryside as well as free internet access, air conditioning, 24 hour room service and flat-screen TVs. 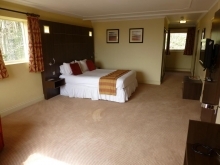 These spacious en suite executive double rooms have a comfy sofa bed as well as a balcony or patio overlooking the surrounding countryside. Each room also offers free internet access, air conditioning, 24 hour room service and flat-screen TVs.